Can you believe its almost August already? That means back to school for most kiddos is just around the corner (pause for parents to cheer). 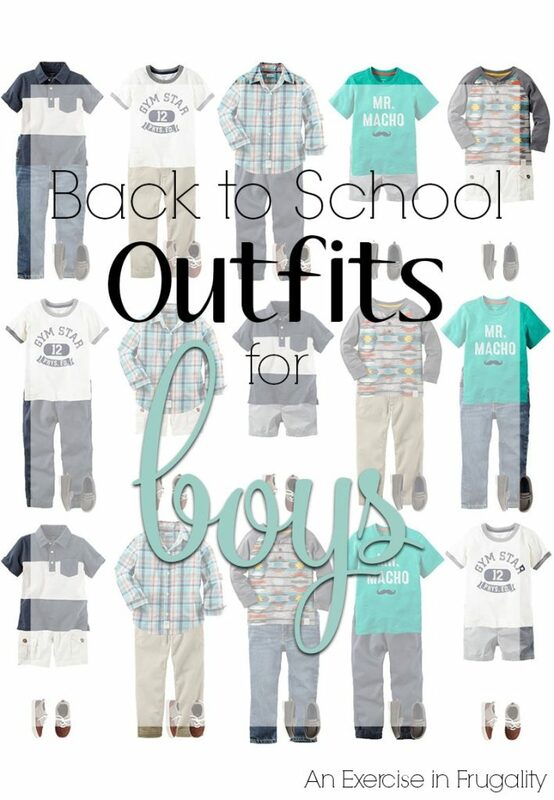 If you’re already looking for back to school clothes, I’ve rounded up a selection of cuteness from Carter’s that is sure to make your little man shows how stylin’ he is when he heads off to school this fall. With these 12 pieces, you can mix and match over 3 weeks of outfits without a repeat! Plus, right now Carter’s is offering 20% off your $50 or more purchase using coupon code EXTRA. That means even bigger discounts on some awesome threads! Don’t forget the prices above are not including the coupon code I mentioned, so you can use that for even more savings. While we don’t have any kids ourselves yet, I used to work at J.C. Penney’s back in high school (and college) and always loved looking at the cute Carter’s stuff they had. You can often find great deals! Are your kids headed back to school soon? Have you started or finished back to school shopping yet? Dreading it?